What happens with the Tesla Model X when you tow something quite heavy and attempt to accelerate like crazy (within reason so as not to destroy your Tesla, of course)? 7.2 seconds zero-to-60-mph with 3,000 lbs. in tow while taking it easy and experiencing a traction issue! 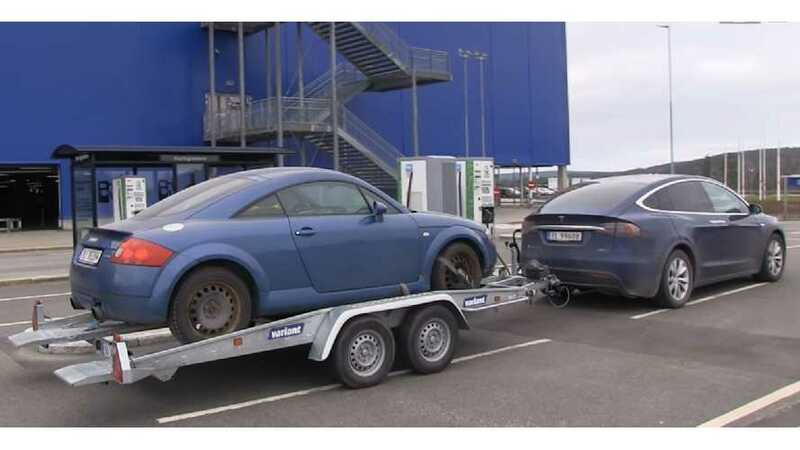 "By strapping it on the trailer and then pulling it with the Optimus Prime (his Tesla Model X P90DL)." "What do you do for living? You always pulling trailer around and stuff?" Electric cars provide an incredible amount of instant torque, which isn't available in any other powertrain. People that seek extra torque for towing -- such as pickup truck drivers, for instance -- opt for diesel engines due to their beefy low-end torque. Unfortunately, the sacrifice is higher horsepower and quick-off-the-line acceleration. The above isn't true with EVs. You get the instant low-end torque, immediately followed by plenty of seamless acceleration. The only losses in the typical electric car equation are acceleration at the top of the speedometer, as well as high top speeds, neither of which any daily driver will ever have the opportunity to experience without breaking laws or hitting the race track (well there is the Autobahn). Instant torque and immediate "ludicrous" acceleration are both qualities you will notice and utilize in your everyday commute. 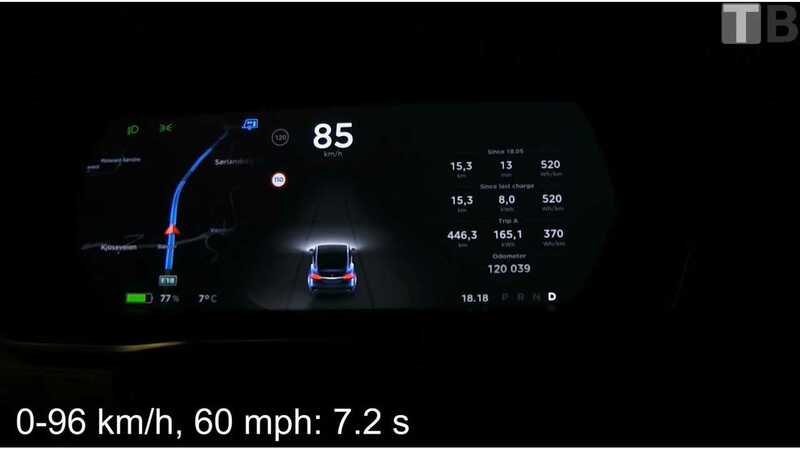 Nyland's Tesla Model X can hit 100 mph in less time than the 2000 Audi TT can hit 60 (that is without a fossil in tow). So, with all of this being said, how did the Tesla Model X do towing the 3,000-lb. Audi TT? "I accelerated gently (as said in the video). People who launch at drag race put way more stress on the car than me." It's pretty crazy to fathom that a large electric SUV can pull a load and accelerate significantly faster than other cars that only have to pull themselves. This is especially true when considering that in the U.S., the average car hits 60 mph in about 8 seconds and SUVs ring in around 9-10. TLDR; It was as fast or faster. But traction on studded winter tires were not optimal. Better results on summer tires.